SEB Mini Photo by Dan Bramley. 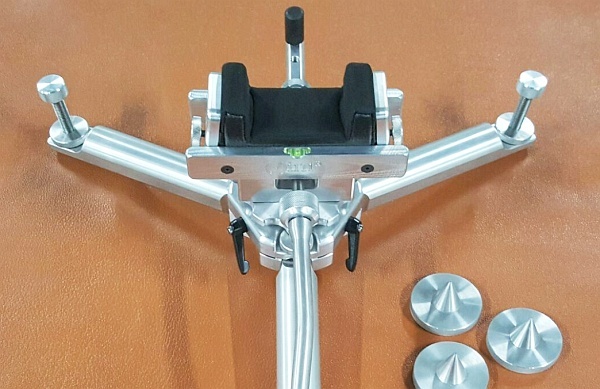 SEB Rests, producers of the SEB NEO rest and innovative JoyPod bipod, have released an all-new, portable tripod-base Co-Axial rest, the SEB Mini. 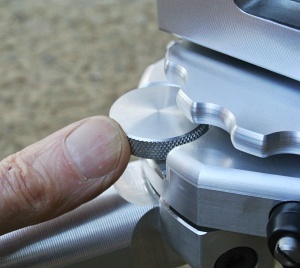 This is a very impressive bit of engineering by Sebastian Lambang. Weighing about 12 pounds, the SEB Mini is easy to transport yet stable and versatile in the field. A joystick lever-arm allows the shooter to move the front head (with sandbag) in any direction with a smooth continuous motion. The Mini delivers about 30 MOA vertical travel by 45 MOA horizontal travel with the same smooth, fluid feel as the NEO rest. The Mini is now in full production and testers in the USA and UK have returned very positive test results. The Mini combines the smooth controls of a full-size Co-Axial front rest, yet is much easier to transport. 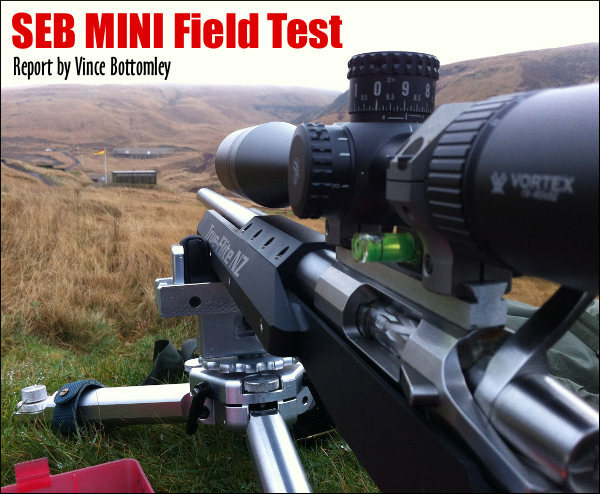 Based on reports from testers Dan Bramley and Vince Bottomley, we predict the Mini will become extremely popular with F-Open competitors as well as all shooters currently using pedestal-style front rests for recreational shooting or load testing. Price for the complete unit (with front bag) is $675.00 shipped in the lower 48 states. The new SEB Mini is a joystick (coaxial) rest with a height-adjustable single center column fitted on a base with three foldable legs. The top can be rotated 360 degrees and locked securely by the two adjustable locking levers. The lowest setting is about 6.25″, the highest is just over 10″. The SEB Mini can be used for F-Class shooting, bench rest shooting, varmint shooting, or load development. The joystick handle is compatible with the SEB NEOs and MAX co-axial rests. The Mini ships complete with a one-piece front sandbag in the buyer’s choice of width. 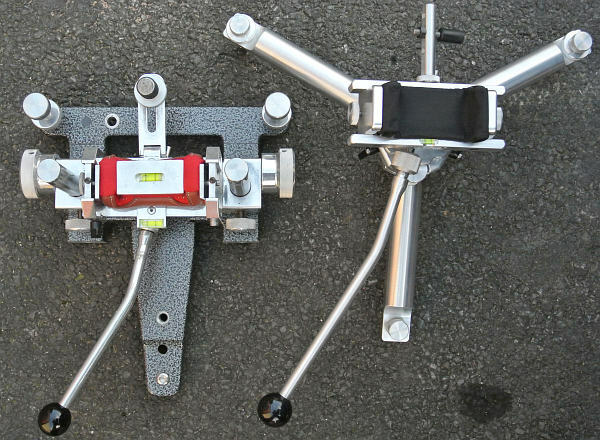 Head unit can be purchased separately and fitted to different tripod base. 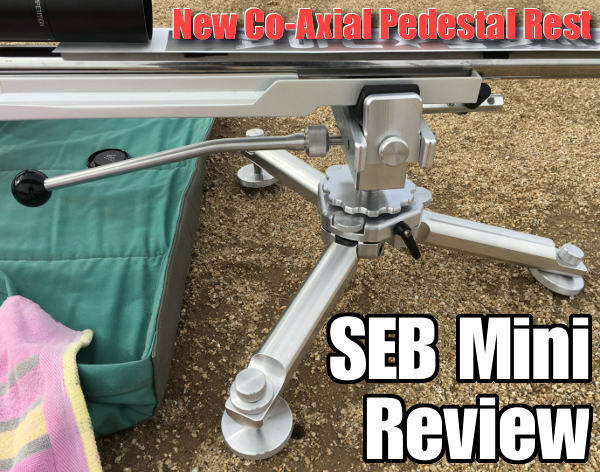 Sebastian Lambang, the creator of the ever-popular SEB NEO and SEB MAX co-axial front rest, was kind enough to send me a SEB Mini for review. The point of this review is to give a shooter’s perspective. I will just say that the adjustments and movements are plenty sufficient to shoot in F-Class in High Power and rimfire. Positives: The SEB Mini has all of the fine craftsmanship of the NEO. The fit and finish is excellent. This thing is SOLID! When the screws are all locked down it does not budge. The engineering is excellent and well thought-out. It comes in at 12.0 lbs with sand in bag and ready to shoot. To me this weight appears to be optimal, light enough to travel with but heavy enough to be stable. Shootability: For me shooting off the SEB Mini was no different than shooting off the SEB NEO. The fluid motion of the coaxial top and stability were consistant with the NEO. Set-up was quick and the ability to set it down in reasonably close alignment and release the clamps on the Acme screw to allow perfect rest alignment was a nice feature. Course adjustment was quick with the large mariner wheel and the joystick has the same size collet as the NEO for those who may have made custom joysticks. I shot my rimfire off of it at first, on concrete, and it didn’t move at all. No surprise there. So I figured I would shoot my biggest rifle off of it in an attempt to punish this little “Mini”. Conclusion: This thing is just awesome! It folds up quite compact and would likely fit in a bag, instead of a pelican case, for travel. I have often thought of shooting my open rifle off of a JoyPod when traveling by air but that requires a rail etc. for mounting. I would not hesitate to shoot off this Mini in competition. Vince also liked the fact that the Mini is significantly lighter than a SEB NEO rest, but still stable because it has a wide footprint. See the comparison photo below. 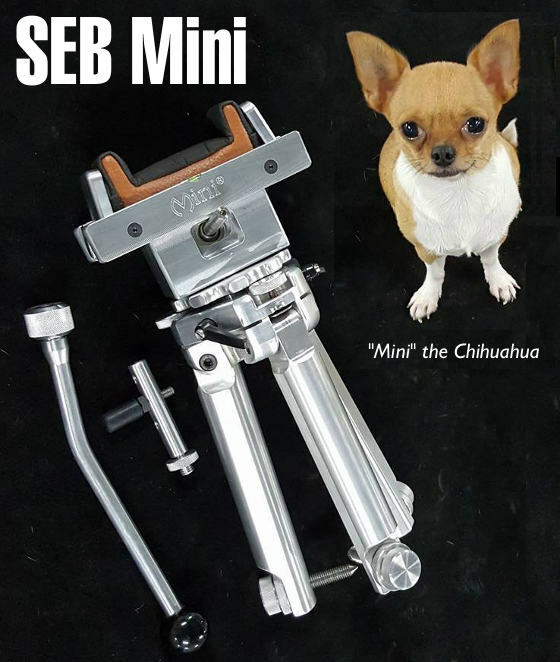 The complete SEB Mini includes Head unit, foldable legs, fore-end stop, aluminum bag bracket (with bubble level), joystick, leveling screws, and front bag. 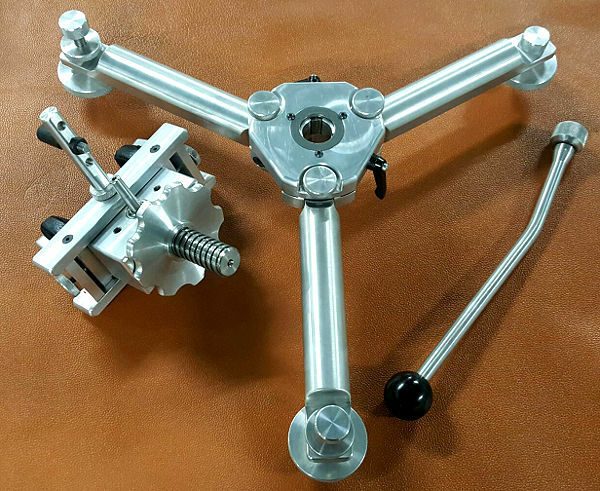 The base features three foldable legs, each of which can be adjusted/tilted for elevation via a thumb screw. We recommend setting the base/legs in the highest position initially, then lowering each leg via the thumb screws. The Mini is offered in three (3) configurations. The complete Mini with base, foldable legs, and carry case is $800.00, including shipping to the lower 48 States. For considerable less there are two legless options. Option 1 is the Mini without the foldable legs. This could work for customers who may wish to fit the top to a solid base plate. Option 2 includes just the head unit with center post, mariner wheel and needle thrust bearing. Option 2 could suit customers who already have a Bald Eagle or Caldwell base with 1″ diameter center hole/post. However some machining may be required. Call Ernie Bishop at 307-257-7431 for current option prices and availability. Share the post "New SEB Mini Joystick Tripod Rest Reviewed"
We may see a big change in how sound suppressors are regulated in the future, if new legislation from the Congressional Sportsmen’s Caucus (CSC) becomes law. On January 10, 2017, Rep. Jeff Duncan (SC) and Rep. John “Judge” Carter (TX) introduced H.R. 367, the Hearing Protection Act (HPA). This law would remove suppressors (aka “moderators”) from National Firearms Act (NFA) control, eliminating requirements of extensive paperwork, and purchase of a tax stamp. 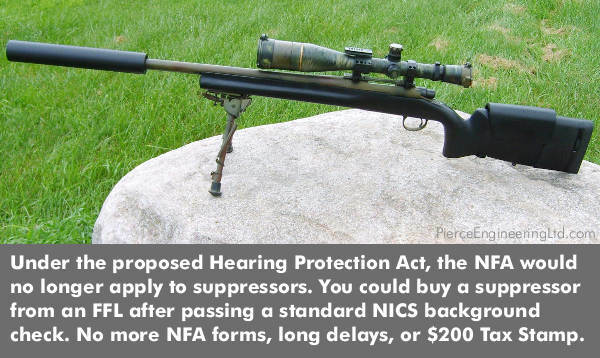 If the Hearing Protection Act becomes law, suppressors could be purchased through an FFL (after a NICS background check), just like a normal, non-NFA firearm. This would make suppressors more affordable in the 42 states where suppressors are legal to own. What’s more, the new legislation includes a provision to refund the $200 transfer tax to applicants who purchased a suppressor after Oct. 22, 2015. Suppressors function by trapping the expanding gasses at the muzzle, allowing them to slowly cool in a baffled chamber. On average, suppressors reduce the noise of a gunshot by 20-35 decibels (dB), roughly the same sound reduction as earplugs or earmuffs. In addition to hearing protection, suppressors also mitigate noise complaints from those who live near shooting ranges. “For the past five years, the Congressional Sportsmen’s Foundation (CSF) has worked alongside the state legislative sportsmen’s caucuses in the National Assembly of Sportsmen’s Caucuses, the American Suppressor Association, and many other partners at the state level to normalize the use of suppressors throughout the nation,” said CSF President Jeff Crane. A similar bill was introduced last year by Rep. Matt Salmon (AZ) but that legislation never made it out of committee. If you have purchased a suppressor in the last year, the HPA could put money back in your pocket. As drafted, the HPA also includes a provision to refund the $200 transfer tax to applicants who purchased a suppressor after October 22, 2015. Share the post "Hearing Protection Act (H.R. 367) Introduced in Congress"
Here’s the latest leveling technology for shooters. 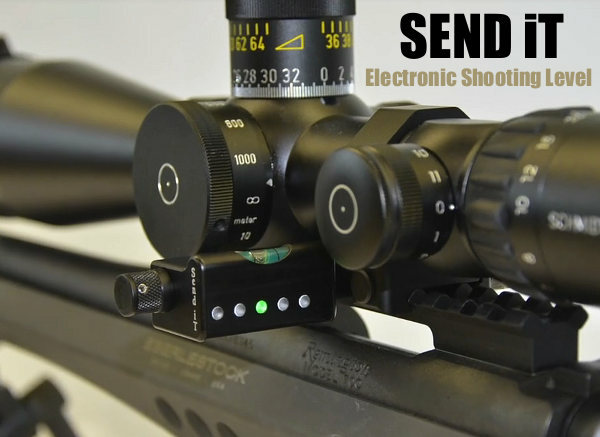 The innovative “SEND iT” device is an electronic level featuring five colored LEDs along with a conventional bubble level. 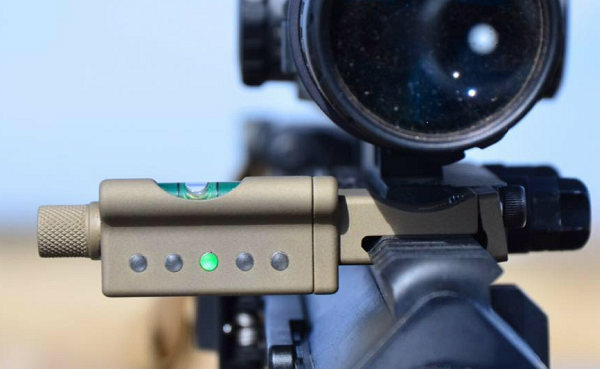 When the rifle is level, a single green LED lights in the middle. If you are off-kilter, blue or red warning LEDs alert you. There are five sensitivity levels (from 0.2° to 1.0° between lights). The Send iT level can be mounted vertically as well as horizontally and the electronics will auto-sense the correct position. The makers of the SEND iT claim it is the “most accurate and fastest shooting level made”. The system mounts to a Picatinny-style scope rail, extending out to the left side. There are multiple modes, including leveling, battery check, and sleep mode. The LEDs can be dimmed for night use. The SEND iT level, offered by Long Range Arms (LRA), will debut at SHOT Show 2017. Price and Pre-Order info will be available in late January on the Long Range Arms Facebook Page. Share the post "New SEND iT Electronic Level Device"